Is "Is He Dead" The PPP's Latest Comedy? The Poplar Pike Playhouse is preparing for it’s latest fall production, Is He Dead? The show is a satire audience members of all ages will enjoy. The PPP’s newest faculty member, Jeff White, will direct this year’s fall production. Director Jeff White works with 3 actors onstage. Jeff White is not new to the play or the PPP stage. White is a Germantown High School alum and returned to direct the children’s plays on the PPP stage in the early 2000’s. He played Jean-Francois Millet in Germantown Community Theatre’s 2009 production of Is He Dead? White says he’s excited to bring his interpretation to life this fall. “I’ve always hung onto this show. I think it is really funny. 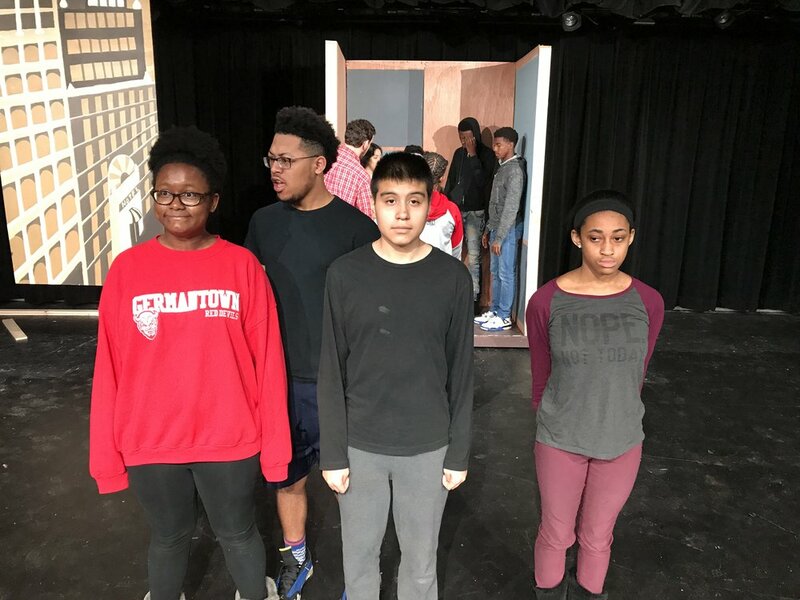 I’ve always felt it was perfect for a high school theatre production because it’s total farce, it’s super silly, and it’s a great ensemble piece,” White says. Written by Mark Twain, and adapted by David Ives, Is He Dead? tells the story ofJean-Francois Millet, a young painter who is in love with Marie Leroux but in debt to a villainous picture-dealer. Millet faces foreclosure andyears in prison unless he allows Marie to marry the picture-dealer. Millet realizes faking his death will not only allow him to pay his debts and keep Marie from marrying the dealer, but also may bring him fame and fortune. Millet’s fabricated death gives birth to his new persona, Widow Tillou, Millet’s “twin sister”. Now a rich "widow," he must find a way to get out of a dress, return to his previous identity, and marry Marie. Is He Dead? opens October 26th and will run through November 4th. For more information, call the Poplar Pike Playhouse Box Office at (901) 755-7775 or visit PPP.org. To keep up with the latest news, follow the Playhouse on Facebook, Instagram (@poplarpikeplayhouse), or Twitter (@ppptheatre). Is He Dead at the PPP? death to order to reach fame and stardom as an artist. Millet must decide whether to be dead and rich or alive and dejected. Thorpe/Claude Riviere/Charlie/The King of France. (@poplarpikeplayhouse) or Twitter (@ppptheatre) for updates and special coupon codes. managing director. Ashleigh Williams is the PPP artistic director. The 2017-2018 student company managers are Kyle Bowers and Alan Toney. A new year brings new mysteries to the Poplar Pike Playhouse. 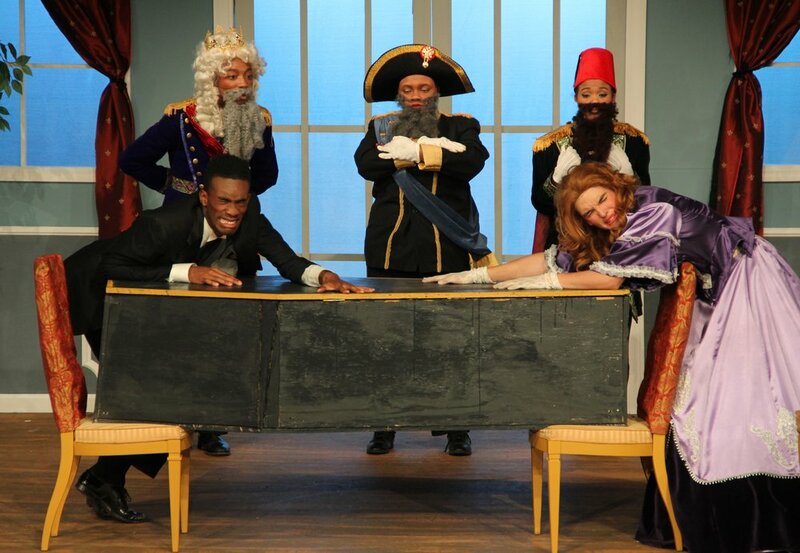 The Mystery of Edwin Drood offers not only a peculiar storyline for its audiences but also offers the possibility of a different ending to the show every night. However, there is another show going on backstage as technical crews work hard to keep the magic of the show alive each night. 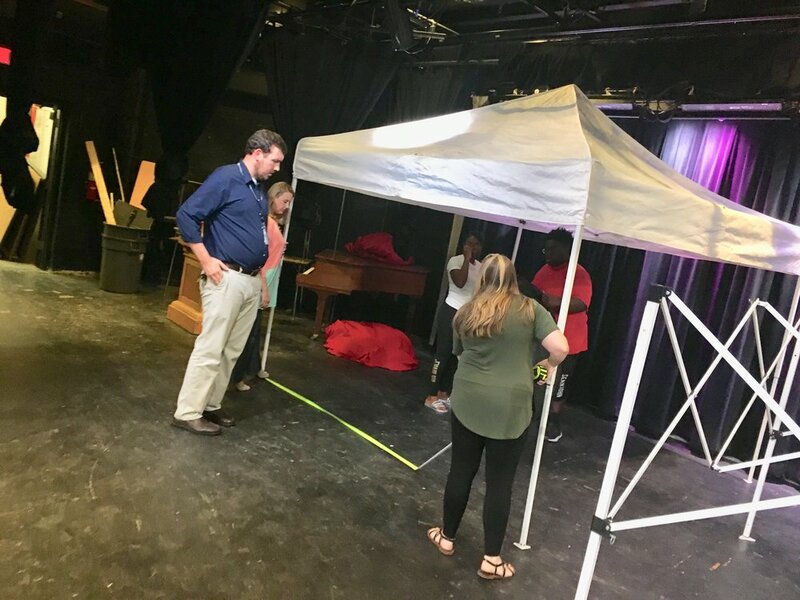 While actors perform on stage, the tech crews are busy backstage placing props, giving cues, fixing costumes, and quite literally “turning” the set. Inspired by the unfinished novel by Charles Dickens, Rupert Holmes created the musical to complete the work begun by Dickens. The audience decides how the show will end each night, making it the first Broadway musical to have multiple endings. In addition to a different ending each night, the crew backstage at the PPP is prepared to impress audiences with beautiful costumes, incredibly well-crafted props, remarkable wigs and makeup, and a brilliant revolving set. The Mystery of Edwin Drood is set in England during the 1800’s. Dialogue may help illustrate the time period but it’s the costumes that help transport the audience back in time. With this responsibility, the costume crew must take extra precaution to remain true to the era of the show. Costumes are not the only thing the actors need in order to physically become their characters. The makeup and wig crews are working hard to create the various ethnic, social, and economic backgrounds of the characters. Every detail, no matter how fine, must help tell about the character. Another key element to enhancing the magic of the show is props. Although props may be as small as a cup or as large as a sword, they play an important part in the illusion of the show, especially since the show pertains to a specific time period. As a result, the props crew must work attentively to integrate the props into the show. The props crew certainly pays a great deal of attention to their work, but there is another group of committed students who operate with extreme detail on a much larger scale. The student crew who is building the set have worked tirelessly in their efforts to create a unique backdrop for the musical. Not only is the set for The Mystery of Edwin Drood constructed to look like the time period, it also has an extraordinary characteristic about it. Almost the entire set has the ability to rotate, meaning the stage is able to house multiple “locations” at all times. The Poplar Pike Playhouse will open its curtains for The Mystery of Edwin Drood beginning February 23 and will run through March 11. For more information or to reserve and buy tickets, call the Poplar Pike Playhouse Box Office at (901) 755-7775 or visit PPP.org. To keep with the latest news, follow the Playhouse on Facebook, Instagram (poplarpikeplayhouse), or Twitter (@ppptheatre). The Poplar Pike Playhouse is preparing for the spring musical season with its upcoming production of The Mystery of Edwin Drood. After first appearing on the PPP stage in 1988, the murder mystery broadway hit show proved itself to be a PPP classic. The mystery begins on the Poplar Pike Playhouse stage February 23rd and will run through March 11th. For more information, call the Poplar Pike Playhouse Box Office at (901) 755-7775 or visit PPP.org. To keep up with the latest news, follow the Playhouse on Facebook, Instagram (poplarpikeplayhouse), or Twitter (@ppptheatre). The cast of The Mystery of Edwin Drood includes: Alan Toney, Dinah Mitchell, Rodney McKinner, Rachel Christopherson, Mackenzie Kuykendoll, Elijah Bienz, Christian Powell, Sara Mayers, Kyle Bowers, Fred Garner, Andreas Williams, Caleb Suggs, Amber Allen, Kassie Kimble, Kennedy Harris, CJ Jamerson, Andrew Heady, Lundell Simmons, Hannah Everhart, Tia Glover, Dane Henderson, Reyna Katko, Alanna Lee, and Scarlett Simpson. The Mystery of Edwin Drood is directed by Ashleigh Siegfried Williams. Associate director is Kirie Taylor Walz. Matthew Hayner is the musical director. John Hagan is the conductor. Urinetown: Strange Name, Great Show! Audiences are raving about the Poplar Pike Playhouse’s latest fall production of Urinetown. “These high school students gave very dynamic performances,” says first time patron Jarrod Terry. The Tony Award winning show follows the trials of the people of an oppressed town where corrupt corporate and government interests have used a drought to seize control of the water. Personal toilets are outlawed and people must pay a private corporation to use the public restroom. If citizens don’t, they are banished to Urinetown. While some audience members were skeptical about the plot at first, they say their skepticism quickly gave away to delight as a clever script with fantastic music, a talented ensemble and visually technical elements brought this story to life. “I loved that the script had a bite to it, like it was funny but it also made you think,” says new patron Diane Scott. “I don’t see them as high school students. I saw actors,” says longtime patron Kelly Griswold. The chaotic wit of the characters had audience members laughing through the performance. “Officer Lockstock was the right amount of sarcasm and cynicism. I thought that was hilarious,” praised Terry. While Urinetown is a musical comedy, audience members agree there is a deeper message to the story. Winner of three Tony Awards, three Outer Critics Circle Awards, two Lucille Lortel Awards, and two Obie Awards, this show is certain to have you laughing with delight. Urinetown runs through October 29. Tickets can be purchased or reserved online at ppp.org and through the Poplar Pike Playhouse box office at (901) 755-7775. To keep up with the latest news, follow the Playhouse on Facebook, Instagram (poplarpikeplayhouse), or Twitter (@ppptheatre). The Poplar Pike Playhouse is located on the campus of Germantown High School. A Big Reaction to The Little Mermaid! People are raving about the regional premiere of Disney’s The Little Mermaid, which opened recently at the Poplar Pike Playhouse. The beautifully crafted stage production takes audience members, both young and old, on a journey under the sea and beyond. Based off Hans Christian Andersen’s beloved novel, The Little Mermaid tells the age-old fish tale of a young mermaid, Ariel, who falls in love with a human prince. Forbidden from the surface world, Ariel must make a deal with the sea witch Ursula for a pair of human legs. In exchange, Ariel must give up her voice and possibly her soul if she cannot get the human prince to kiss her in three days. Every night the actors and backstage crew work together to bring the audience “under the sea” on this funny and entertaining family show. But the actors and backstage crew aren’t the only ones who worked hard to create Disney magic. The underwater sounds and lighting brings the stage to life, and the beautiful costumes catch the eyes of everyone watching. “The hair, makeup, and dress were incredible; you could tell that a lot went into it to make it look realistic,” says Douglas. Children who saw the show had plenty to say about the performance as well. As much as the kids loved the show, there were some differing opinions. When asked about the kiss between Prince Eric and Ariel, Walker Odom and Ella Frazier had opposite views. “I loved the kiss,” says Frazier, “it means they are getting married.” Odom on the other hand replied: “Gross!”. The Little Mermaid runs through March 12th. For more information or to reserve and buy tickets, call the Poplar Pike Playhouse Box Office at (901) 755-7775 or visit PPP.org. To keep up with the latest news, follow the Playhouse on Facebook, Instagram (poplarpikeplayhouse), or Twitter (@ppptheatre). Opening Night Excitement for The Little Mermaid! The Poplar Pike Playhouse goes “under the sea” February 25th with The Little Mermaid and the cast and crew members can’t contain their excitement. From costumes and props to set construction and lighting, this show is sure to transport audiences into a magical crustacean wonderland. Audiences are sure to recognize some of the iconic tunes from the show such as “Part of Your World”, “Under the Sea”, and “Kiss the Girl”. However, the Broadway musical has added more catchy classics that will leave the audience members singing. The characters from the movie that had no solos have their own songs! One of the most entertaining songs in the show is Scuttle’s “Positoovity”. It’s a vibrant tap number that sets a positive tone for the beginning of the second act. Besides Scuttle, Prince Eric also gets his own solos including the love ballad “Her Voice”. One of the most sincere newly added songs is “If Only”, a beautiful quartet sung by Ariel, Prince Eric, Sebastian, and King Triton. These are just three of many other new songs that audiences should anticipate hearing. 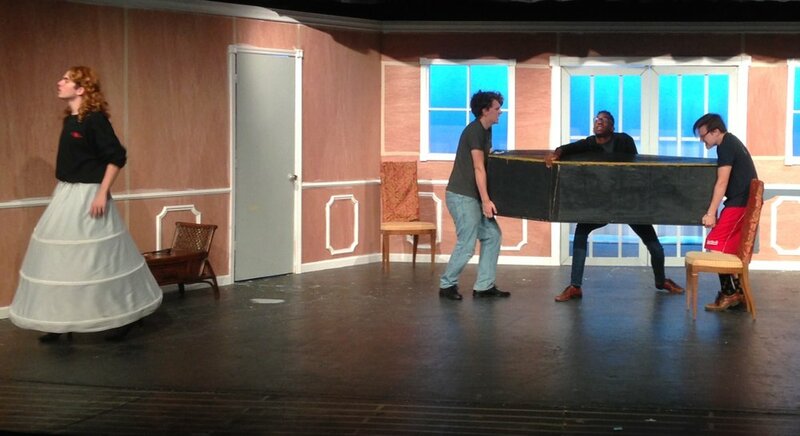 The students at Germantown High School are more ready than ever to open the show next week! Are you ready to see the Regional Premiere of The Little Mermaid? Call the PPP Box Office at (901) 755-7775 or log on to ppp.org to reserve your seats today! 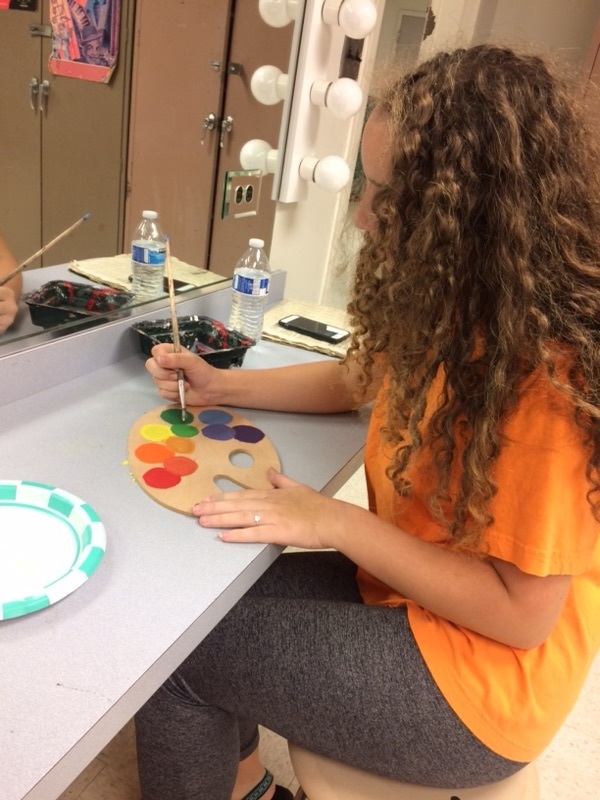 Behind the Scenes of the PPP's "The Little Mermaid"
The Poplar Pike Playhouse is getting ready to bring some of Disney’s most iconic characters to life in the regional premiere of The Little Mermaid. While the audience gets to see the hard work of the actors every night, it’s the dedication of the technical crews that truly creates Disney magic. When the cast prepares for their roles, the technical crews are hard at work building the set, creating costumes, etc. Based on one of Hans Christian Anderson’s most beloved stories, The Little Mermaid tells the story of Ariel, daughter of Triton King of the Sea, who falls in love with a human prince. Like any Poplar Pike Playhouse performance, The Little Mermaid not only dazzles the audience with its deep story; it dazzles its viewers with a beautiful set, incredible costumes, eccentric props, professional quality lighting, and amazing sound. Before the actors began getting into character, the construction crew at the PPP begins working on bringing the stage under the sea. With almost every set piece being made from scratch, the crew has to work every day to make the story of The Little Mermaid come to life on stage. But the construction crew isn’t the only one hard at work at the PPP. The costume crew started cutting fabric and sewing outfits the moment the cast was announced. 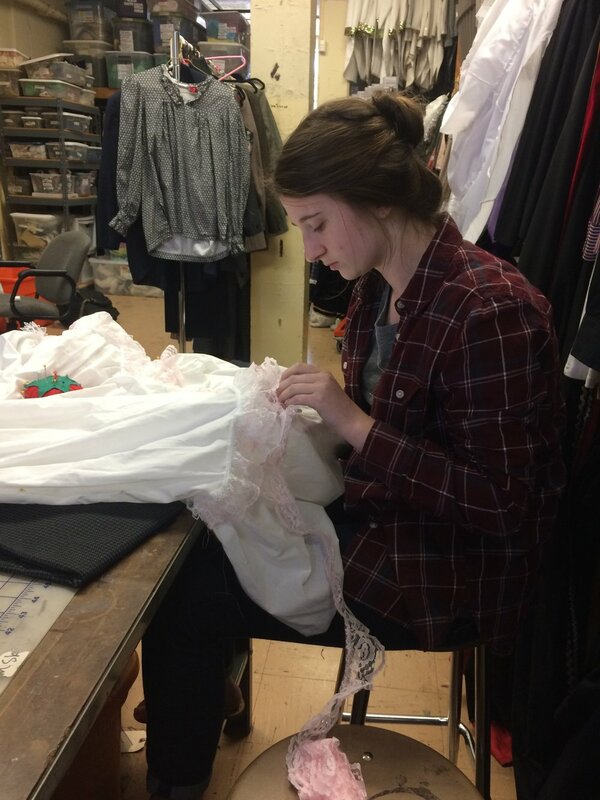 With 29 actors, the costume crew spends almost every day in the Poplar Pike Playhouse costume room making beautiful sea creature costumes by hand for each and every performer in the musical. There are some students at the Poplar Pike Playhouse, that work as a member of the cast and a member of a technical crew. Sara Mayers plays the role of Ursula in the show, but she also a member of the costume crew. 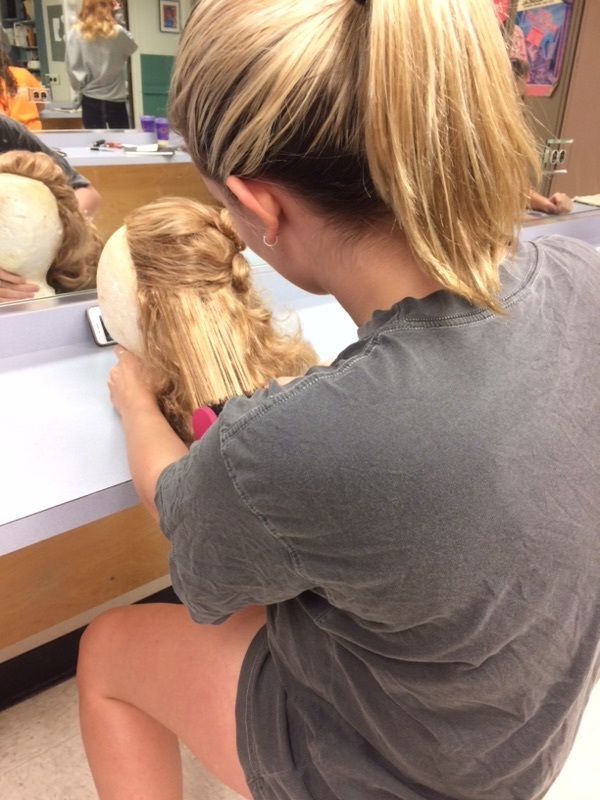 Sara not only holds both positions with dedication and hard work, she has the opportunity to create her own costume for Ursula. As busy as the costume crew is, they aren’t the only crew at the PPP creating magic from scratch day after day. 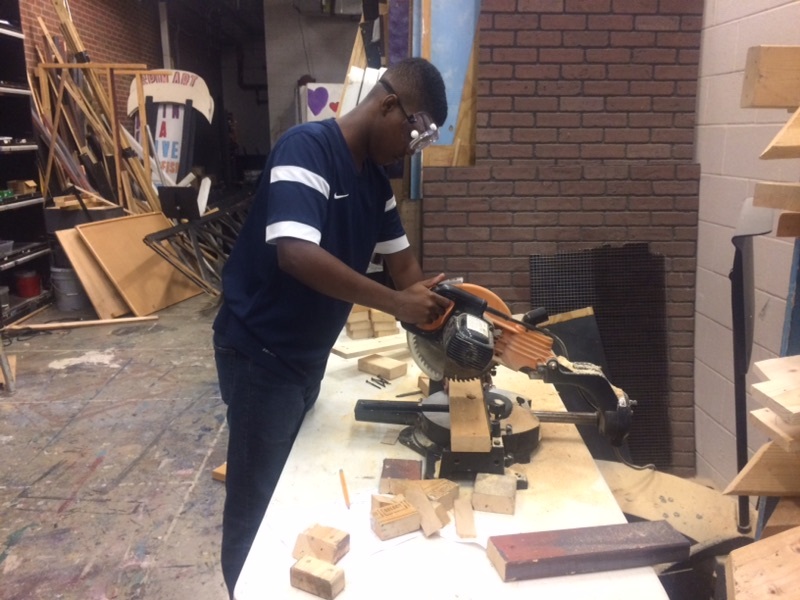 Prop Chairman Latavia Williams and the rest of her crew have been working since day one, handcrafting prop pieces to create the depth the musical demands. However, all the creativity that goes into the show doesn’t just come from the props crew. The lighting crew has to work with the cast and other crews to do what they do best. Lighting Director Connor Sackett and his lighting crew have been constantly planning and testing lights since the musical was announced. Every crew gets to showcase their efforts to the eyes of the public except for one. The sound crew at the Poplar Pike Playhouse has been working hard to make The Little Mermaid the best it can be. The Little Mermaid opens February 25th and runs through March 12th. For more information or to reserve and buy tickets, call the Poplar Pike Playhouse Box Office at (901) 755-7775 or visit PPP.org. To keep up with the latest news, follow the Playhouse on Facebook, Instagram (poplarpikeplayhouse), or Twitter (@ppptheatre). Go Under The Sea With the PPP! The Poplar Pike Playhouse is going under the sea with its new musical Disney’s The Little Mermaid. 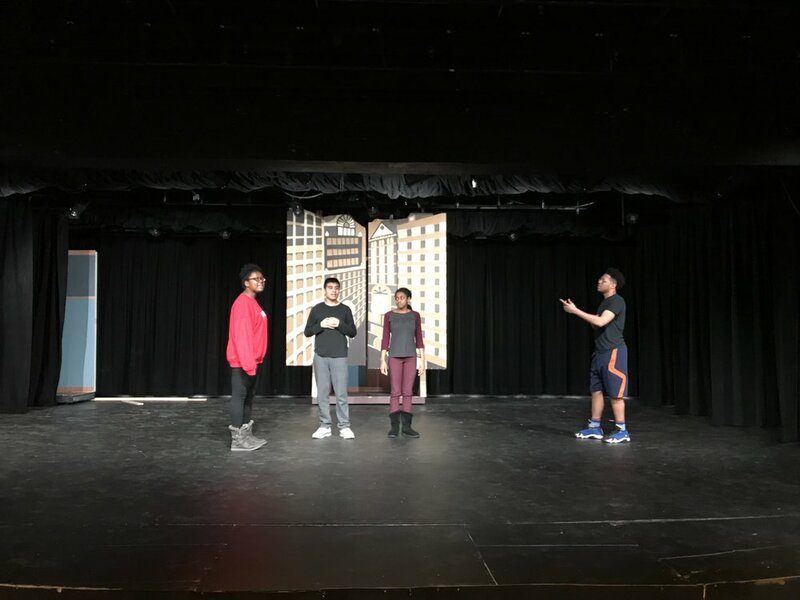 The Broadway show will make its regional debut this spring at Germantown High School after a successful international run. Based on one of Hans Christian Anderson’s most beloved stories, The Little Mermaid tells the story of Ariel, daughter of Triton King of the Sea, who falls in love with a human prince. To achieve her dream of being on land with him, she goes to the evil sea witch Ursula who transforms Ariel’s fins into legs in exchange for her voice. The catch, Ariel only has three days to seal the spell with a kiss from her prince. If she can’t, she becomes Ursula’s slave for eternity. The classic fish tale comes to life on stage, but with a twist. We find out Ursula and Triton’s relationship goes deeper than in the Disney movie, but that’s not the only change. All of your favorite numbers such as Under the Sea, Part of Your World, and Poor Unfortunate Souls are in the show, as well as new songs like Positoovity, She’s In Love, and Daddy’s Little Angel. The new elements alongside the classics make for a brand new experience that is fun for the whole audience. “Even though The Little Mermaid has been around for years, the Broadway production was just released,” said The Little Mermaid director Ashleigh Siegfried Williams. “I knew I had the perfect group of students to bring this classic Disney show to life.” Be there when the Poplar Pike Playhouse becomes the first theatre in our region to bring The Little Mermaid to life February 25th through March 12th. For more information, call the Poplar Pike Playhouse Box Office at (901) 755-7775 or visit PPP.org. To keep up with the latest news, follow the Playhouse on Facebook, Instagram (poplarpikeplayhouse), or Twitter (@ppptheatre). The cast of The Little Mermaid includes: Raneem Imam, Evan Hoover, Sara Mayers, Alan Toney, Fred Garner, Dinah Mitchell, Caleb Suggs, Bryan Scott, Amber Allen, Kyle Bowers, Jaleyn Pearson, Jackie Kamin, Elijah Bienz, Dylan Armstrong, Summer Eggert, Kassie Kimble, Elana Leav, Keyna Crawford, Abigail Davis, Hannah Everhart, Mackenzie Kuykendoll, Scarlett Simpson, Rhomel Brown, Trevor Hardin, Rodney Mckinner, Gabriel Portillo, Christian Powell, Lundell Simmons, and Vontrell Thomas. The Little Mermaid is directed by Ashleigh Siegried Williams. Associate director is Kirie Taylor Walz. Steve Danielson is the music director. John Hagan is the conductor. The Poplar Pike Playhouse is the theatre complex located on the campus of Germantown High School. The corporate sponsor is Landmark Community Bank. Inspired by the writings of a young Jewish girl, Anne Frank and Me by Cherie Bennett opened at the Polar Pike Playhouse this past Thursday. The play tells the story of a modern day teenager, Nicole Burns, who is transported back in time to 1942 France. Nicole experiences the struggles and the hardships of a Jewish girl during the Holocaust. The theatrical production encourages audience members and fears of both Anne Frank and Nicole Burns. On opening night, Playhouse patrons shared their feelings about the performance. “There are a lot of inequities seen in our world today. We have to make sure that we take a stand and stand up for those inequities or this could happen again,” shared Elizabeth Stuart, a long time Polar Pike Playhouse supporter. During the production, the characters of Anne Frank and Nicole Burns create a dramatic impact as they share their wishes, hopes, loves and their intense longing for freedom. “I appreciate how the characters come together. No matter your age, we are all human. We all share the same fears and many of the same feelings,” said first time patron Richard Maccarino. The performance is not only about the acting, but also about the technical elements. The sound, from the special effects to original song choices, and lighting add to the dramatic tension of the story. “These Germantown High students continue to impress. The painting, set design, the technical crew, the actors – all of it – it was a really great show,” patron Kelly Griswold remarked. Anne Frank and Me runs through November 14 and tickets can be purchased now at ppp.org or through the Polar Pike Playhouse box office at (901) 755-7775. Tickets can be reserved two days in advance and receive a discount with the use of promo codes on the PPP’s daily updated Twitter and Facebook pages. The Polar Pike Playhouse is located on the campus of Germantown High School. See more of the characters this fall when the Poplar Pike Playhouse presents Anne Frank and Me opening November 4th through November 15th. Tickets are on sale starting October 19th and can be purchased online or through the Poplar Pike Playhouse box office at (901) 755-7775. The Poplar Pike Playhouse brings culture to the stage with its upcoming show Anne Frank and Me, which opens Thursday, November 5th. Cast and audience members alike will experience the sudden transition to 1942 through popular elements from the decade. Other than the fashion of the 40s, tap dancing and “boogie woogie” swing tunes have been incorporated in the show to illuminate the fanciful aspects of the past. Three lulling ballads by the Israeli girl group HaBanot Nechama have also been added to the show, providing beautiful, cultural authentic music to the audiences. Anne Frank and Me adds the musical elements that present the raw feelings of the conflict within the play. The allusion to the Andrew Sisters provides the audience with a cultural blast to the past that serves as the bridge from the modern day to the past. From beginning to end, the cast forms a relationship with the audience, and one watching cannot help but feel completely involved in the actions going on before them on stage. The Poplar Pike Playhouse at Germantown High School presents a full season of theatrical productions from its 300-seat on-campus theatre facility. Since its inception is 1976, the PPP has presented more than 100 theatrical shows viewed by hundreds of thousands of patrons. The yearly roster of events includes two mainstage shows, several acting festivals and additional workshop productions. Students not only perform onstage, but are responsible for the technical and business aspects of operating this community theatre. Allison Long is the chair of the Germantown High School Fine Arts Department. Kirie Walz is the PPP managing director. Ashleigh Williams is the artistic director. The 2015-2016 student company managers are Damaris Diaz and Jasmine Saulsberry. Anne Frank and Me takes the Poplar Pike Playhouse stage November 5-14. Tickets go on sale October 19th. Visit ppp.org, or call PPP Box Office at(901) 755-7775 for more information. Follow the PPP on Facebook (@poplarpikeplayhouse) or Twitter (@ppptheatre) for updates and special coupon codes. The cast for Anne Frank and Me are: Scarlett Simpson as Nicole; Raneem Imam as Anne Frank; Grace Brandl as Little Bit; Bryan Scott as David; Mazzy Clements as Mimi; Elijah Bienz as Jack; Dinah Mitchell as Mary; Trevor Hardin as Jean; Jackie Kamin as Zooms/ Renee; Sara Mayers as Suzanne; Amber Allen as Chrissy; Austin Carrico as Eddie; Alan Toney, Vontrell Thomas, Dalton Martin, Charlie Duran, Summer Eggert, Emily Garrett, Meredith Drown, and Kyle Bowers as ensemble. The Poplar Pike Playhouse at Germantown High School presents a full season of theatrical productions from its 300-seat on-campus theatre facility. Since its inception is 1976, the PPP has presented more than 100 theatrical shows viewed by hundreds of thousands of patrons. The yearly roster of events includes two mainstage shows, several acting festivals and additional workshop productions. Students not only perform onstage, but are responsible for the technical and business aspects of operating this community theatre. Allison Long is the chair of the Germantown High School Creative and Performing Arts Department. Kirie Walz is the PPP managing director. Ashleigh Williams is the PPP artistic director. The 2015-2016 student company managers are Damaris Diaz and Jasmine Saulsberry. The 44th annual Germantown Festival promises a weekend of shopping, food, games, music and more. Germantown Creative and Performing Arts Program will make an outstanding Festival weekend even better. Students will show the community just how much they value the role of the arts in their education. From producing a live TV show to entertaining the Festival’s youngest patrons, these talented students plan to bring an extra dose of fun and excitement to the Festival. 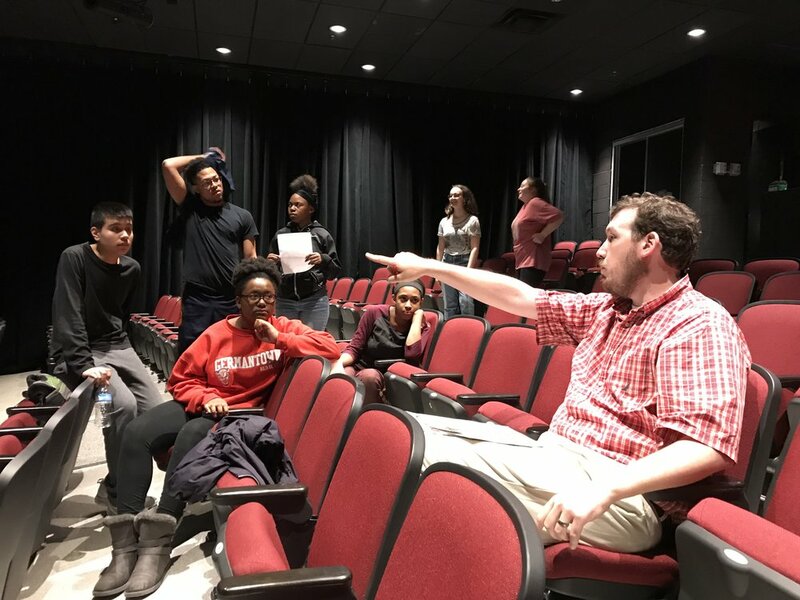 The students of Germantown High School’s award winning television station, GHS-TV, will produce a three-hour show that is cablecast directly from the Festival grounds at the Germantown Civic Club Complex. Guests from organizations throughout the region will join student hosts Raneem Imam and Bryan Scott. Run entirely by students, the award-winning cablecast will also feature live student reports from all over the festival grounds and some of the Mid South’s finest local talent performing on GHS-TV’s own entertainment stage. Pop sensation Justin Timberlake made an appearance on GHS-TV’s festival coverage before his big break. Germantown High School alumni Chris Parnell of Saturday Night Live and Missy Pyle of the Academy Award winning film The Artist have also been featured on past cablecasts. Perhaps another rising star might appear on this year’s live festival coverage! 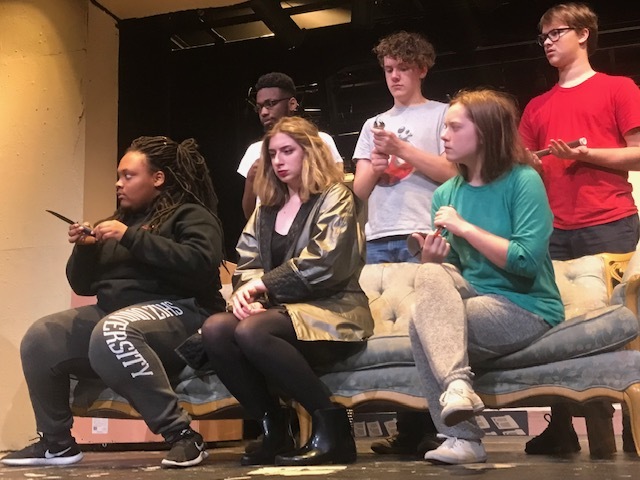 Not to be outdone by their television peers, Germantown Creative and Performing Arts Program acting and theatre students are looking forward to a fun weekend entertaining crowds and raising money for their nationally renowned program. There are numerous engaging activities organized solely by students, ranging from face painting and spin art to an area packed with children’s games. The talented GHS thespians will run the booth making balloon animals for children. Whether artistically inclined or not, anyone can create a beautiful and eye-catching piece of art at the Spin Art booth. Children can play games and even win a pet goldfish at Gameland. Others looking for a little decoration can have their face painted or hair chalked by some of Germantown High’s most talented artists. The GHS students will even have a way for festival-goers to beat the heat. Thirst quenching sweet tea, lemonade and water will be sold on the Germantown High School campus, which is just a stone’s throw from the festival grounds. In addition to games and arts and crafts, fine arts students will be selling the latest edition of the ever-popular “Best Book in Town.” And for only $20, these books are a steal. You’ll get your money back, and then some, with thousands of dollars in savings for discounts to restaurants, theatres, grocery stores, retailers, theme parks and other local attractions. With your purchase of this book, you will not only be receiving a 2016 edition but also a 2015 edition; both books extend through December 31 of their respective years. That is over a year in savings! Proceeds benefit various programs throughout the fine arts department as well as the Seth Matthew Rowan Memorial Endowment Fund, which is used for scholarships and artist residencies. The 2015 Germantown Festival chairmen are Damaris Diaz and Elijah Bienz. Jasmine Saulsberry is the overall GHS-TV live coverage producer, Raneem Imam and Bryan Scottare the guest producers and Mazzy Clements is this year’s entertainment producer. For further information, contact the Poplar Pike Playhouse Box Office at (901) 755-7775 or call GHS-TV at (901) 754-4788. Audiences are Raving over Big Fish! Based on a novel written in 1998, Big Fish was first performed on Broadway in 2013. This past Thursday, the actors at the Poplar Pike Playhouse changed into their costumes and put on the Mid-South’s premiere of the show in response to a roaring applause from their opening night audience. “The actors, the costumes, the storyline, I loved it all… I’ve seen the movie before, but seeing it performed live was so much more exciting!” said Martha Morris, who was in tears after watching the premiere. The show, which tells the story of a man and his stories, takes place in the South. After living an eventful life as a traveling salesman, Edward Bloom tells stories to his son Will. Will, however, tries to find some meaning behind his father’s often far-fetched stories. “The stories that Edward told were so crazy and fun, I loved it. I felt like a kid again listening to bedtime stories,” said Ryan Coleman, who watched his first musical at the Poplar Pike Playhouse. However, Big Fish’s unique appeal that attracts audiences is much more than just the stories. What separates this show from other musicals are the many messages that families can take from the show. “It was fun, and I loved the moral – everything that your parents tell you, it’s always for a reason, and Edward had his reasons for telling his son what he did,” said Olivia Thomas. No matter what type of musical you want to watch, Big Fish has it all! Whether it be romance, adventure, or drama, the show will keep you wanting more – regardless of your age. “It definitely kept me on the edge of my seat… I think everyone needs to see this with their mother or father and appreciate the message behind it,” said Morris. Big Fish runs through March 14th. Tickets for all nights can be purchased through the box office or online at PPP.org. Blocks of tickets are available at reduced rates for school groups and theatre parties. Contact the box office or visit our website for more information. The relationship between father and son can be a cherished one. From the first time a football is passed back and forth, to the lesson on tying your first tie, dads play an essential role in their sons’ growth. For Poplar Pike Playhouse’s Big Fish cast member Daniel Jaramillo, the fatherly lessons taught in the show are one’s he can compare to with his own dad. Edward Bloom, Big Fish’s epic hero, is the loving and caring father to Will Bloom. From a Wild West showdown to an eccentric USO show, Bloom uses these fantastic tales to impart life’s most important lessons, such as being brave and standing up for what’s right, to a young Will. While the stories might be fictional the lessons that can be pulled out of them can be applied to in today’s world. Be there when the Poplar Pike Playhouse becomes the first theatre in our region to bring Big Fish home to you February 26 through March 14. Tickets are now on sale and can be purchased online at ppp.org or calling the box office at (901)-755-7775. Follow the PPP on Facebook and Instagram (poplarpikeplayhouse) or Twitter (@ppptheatre) for updates and special coupon codes. Watch this sneak peek into the Big Fish rehearsals. New cast members share their experiences with dancing! One of the best presents that a parent can give his or her child is the joy of an entertaining story. In Big Fish, Edward Bloom tells his son Will many tall tales intertwining both truth and fantasy to portray his life’s story. Like the fictional character Will Bloom, many of the cast and crew members of Big Fish, the Poplar Pike Playhouse’s newest production, also remember hearing tall tales of their own when they were children. Imam, however, isn’t the only one who remembers his parent’s vivid stories as a child. Her fellow cast members also had something to say about the tradition of “Big Fish” stories. Bryan Scott, a newcomer to the Poplar Pike Playhouse stage, believes that his tall tale experience was for an entirely different reason. Whether they’re told in order to instill a sense of imagination or to encourage good behavior, the stories hold a place in almost everyone’s hearts. At the end of the day, the stories are enjoyable and put a smile on even the youngest of faces. No matter what their opinion is on tall tales, the cast and crew of Big Fish can all agree on one thing: the stories are what make the musical so entertaining.